Posted on Thu, Jan 12, 2012 : 10:25 a.m.
A preliminary hearing in the case against an Ann Arbor pediatrician accused of watching out his bathroom window as a 12-year-old neighbor changed her clothing has been adjourned until Jan. 26 at the request of his attorney, the 14A-1 District Court clerk's office said. 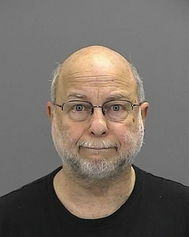 Dr. Howard Weinblatt, 65, who is on leave from IHA Child Health - Ann Arbor, is facing four counts of surveilling an unclothed person and two counts of window peeping. Weinblatt is accused of watching out his bathroom window on four occasions in October while the girl changed in her walk-in bedroom closet. Her house is 11 feet from Weinblatt's home on Olivia Avenue in Ann Arbor and she's been a patient of his since she was born. On one occasion, police said the girl's mother left out an iPad and recorded a video of Weinblatt peeping while he appeared to be masturbating. At the preliminary hearing, prosecutors must show there is probable cause that a crime was committed and that Weinblatt committed it. Weinblatt is the fourth person to be charged by Washtenaw County prosecutors with surveilling an unclothed person since the law took effect in 2004. And he's the first to be accused of committing the offense inside his own home. Sat, Jan 14, 2012 : 8:06 p.m. I'm confused here!!! A man looks out his window of his own house and just happens to notice a teenage girl changing her clothes in a walk-in closet through the uncovered window of the walk-in closet and is accused of a crime!! I could understand this if he had snuck up to her house and peeped through her window but to look out the window of your own house and watch someone change their clothes through their window that they did not bother to close with curtains or shades is totally outrageous. On the other hand, in Saline, if you're a drug dealer and you get robbed, you get to keep selling drugs because you're not charged. See how screwed up these pictures are??? Instead of the parent video taping the doctor, why didn't she do the smart thing and cover the window as opposed to video taping the doctor, who she obviously knew was looking at her daughter through the window. What parent in their right mind even think of letting a neighbor continue to look at their daughter changing clothes again???? The mother had to know it had already happened before if she went as far as video taping it and letting her daughter continue to change clothes in front of a uncovered window. I doubt any jury in their right mind would convict anyone for this and the Washtenaw County prosecutors office should be replaced for wasting taxpayer money if they elect to go through with this case. Sat, Jan 14, 2012 : 3:05 a.m. I live in the neighborhood and because the houses are so close, the neighbors and I have seen one another in all states of dress and undress. It just happens when looking out one's window and going about one's life. Neighbors realize that curtains and blinds are needed for privacy. The incident has rocked the neighborhood with people I know hoping the case will be dismissed. Fri, Jan 13, 2012 : 5:48 p.m. I'm glad to hear that they'll have a preliminary hearing. Only then can the judge throw out the case and we can all get on with our lives. Fri, Jan 13, 2012 : 5:36 p.m.
Why is Weinblatt facing 4 counts of surveilling an unclothed person? Even using the broadest interpretation of &quot;expectation of privacy&quot;, that expectation would seemingly cease to exist after the first incident. Fri, Jan 13, 2012 : 12:42 p.m. I have a child who was a patient of Dr. Weinblatt. I am very interested in this story, I would like to know what going on with this trial and I thank AA.com for keeping us concerned parents informed. I do hope he is found innocent, but when it comes to a charge such as this, the childrens' safety is and should be the number one concern! I am disgusted by the comments blasting the paper and even the mother of this child for their actions. If it weren't for that video the mother took, this would be a matter of he said she said with the mother being pinned against a reputable Dr. Based on the comments I have seen on this article I can only imagine what that trial would look like. Picker, I don't know for sure what the video shows, but it &quot;allegedly&quot; shows the Dr. looking into the window and &quot;appears to be masterbating&quot; according to reports. My thoughts on her taking the video is simply if it shows evidence then what parent wouldn't want to make the strongest case possible to protect their child? Fri, Jan 13, 2012 : 1:17 p.m.
What does that video show? Fri, Jan 13, 2012 : 3:09 a.m.
Lee...Is this on a permanent loop or something? How about dropping the constant repetition and moving on? I realize that salacious articles sell ads, but at what expense? Also, don't you have another picture of this man to share with us? Thu, Jan 12, 2012 : 10:01 p.m. I think these articles are very important. Please keep publishing them. I am very curious to know the results. I see no bias. The only bias would be if this was swept under the rug and no articles were published. Fri, Jan 13, 2012 : 3:19 a.m. Thank you for expressing a reasonable response. If you were the doctor and were innocent (not saying he is, just hypotheticalizing), how would you feel about this coverage? Thu, Jan 12, 2012 : 9:02 p.m.
Why does everyone feel this man and this case deserve special treatment and not the same treatment as other stories? There is no &quot;home town team&quot; here. I don't see similar outcries about a somewhat similar case where the man was sentenced recently. Just don't read the stories that offend you. Fri, Jan 13, 2012 : 1:59 p.m. Does it say anywhere that the Dr is guilty? These articles say he has been charged, what he has been charged with and what the status of the hearings are. If you make any inference of his guilt, that is on you, not .com, which is doing their job reporting that a local Dr has been charged. If he is acquitted they will do a story on that, I am sure. If they did not cover this story many people would accuse them of negligence. Fri, Jan 13, 2012 : 3:18 a.m.
Before the man convicted and sentenced there was no public outcry. As far as the many articles, most were precipitated by the Dr's attorney's actions. Original story Company says Dr. Taking leave of absence. Dr.'s attorney says he will fight charge. Case postponed at request by attorney to Jan 4th. Details of case revealed. Attorney seeks dismissal of 2 of 4 charges. Explanation of charges. Hearing adjourned until Jan 26th at request of attorney. Thu, Jan 12, 2012 : 10:11 p.m. I've been asking myself the same question: why not the same treatment? The number of the articles on aa.com tagged with the Drs name is now up to nine. That is BEFORE the trial and in the absence of any meaningful news. The treatment is clearly very special; I wonder why. Thu, Jan 12, 2012 : 10:08 p.m.
We could tell you but our comments would be removed! Thu, Jan 12, 2012 : 10:05 p.m.
&quot;don't see similar outcries about a somewhat similar case where the man was sentenced recently&quot; Sentenced = Convicted and guilty Accused = Innocent until proven guilty I'm surprised this needed to be pointed out. Thu, Jan 12, 2012 : 7:14 p.m. I am pleased that Lee Higgins and annarbor.com has given the Weinblatt case the intense scrutiny it deserves and has generated large amounts of publicity about the questionable decisions made by the office of Prosecutor Brian Mackie. Mackie's office has had a history of engaging in controversial practices: See: <a href="http://www.hamtramckstar.com/index.php/brian_mackie_s_monstrous_civil_rights_re?blog=4" rel='nofollow'>www.hamtramckstar.com/index.php/brian_mackie_s_monstrous_civil_rights_re?blog=4</a> I called upon a candidate to come forth to run against Mackie in 2008 shortly after another doctor, Catherine Wilkerson, M.D., was acquitted by a jury after a year long ordeal in a criminal case against her that was marginal at best. I believe the charges against Dr. Weinblatt herein are legally unfounded since no person has a reasonable expectation of privacy while located in plain view of an unshaded window area. I also fail to see how anyone can be convicted of looking out of their own window of ther residence. I am unable to locate, after diligent legal research, any similar case reported in the Michigan appeals courts where a person has been charged with a crime while simply staring out their own window at another unshaded window. Further, why did the County Prosecutor have the search warrant and affidavit in support sealed by court order? Mackie's office has had other questionable cases in recent years in which charges were dropped without public comment from his office after defendants were jailed after sensational accounts in the media of their arrest. The purpose of the County Prosecutor is to act in the public interest and one consideration is to shield members of the public from frivolous or unprovable charges, essentially being a buffer from overzealous police conduct. The charges against Dr. Weinblatt, even if dropped at this point, have undoubtedly caused him serious consternation as they had with Dr. Wilkerson in 2007. I hope that there are efforts by the public and local political parties to recruit and field a candidate to oppose Brian Mackie in 2012. Fri, Jan 13, 2012 : 6:52 p.m. The law Dr. Weinblatt is being prosecuted under was signed into law in 2004 and the first reported appeals cases came down in 2007. I know of no cases where the defendant was videorecorded by a third person. What I have seen is where the police seize a cell phone camera from an arrestee that shows photos of a victim which is clear proof of the crime being committed. Some cases involve a suspect who has taken photos of a female bending over with a dress on or lurking outside of a victim's window while the assailant was trespassing. It looks as though the detective and prosecutor may have &quot;jumped the gun&quot; by arresting the doctor at his home without further investigation. Roadman: in your research, have you uncovered any instances where video was used as evidence in cases like these? I'm wondering how it could be in this particular case. The iPad recording would have only captured a one-way angle. Even if the doctor was masturbating in his bathroom, how would the video prove he was doing so while viewing the girl? Also, do you know if it has been reported anywhere about what the police thought when they viewed the video? In a previous, annarbor.com article, there was the video link where the police lt. could be heard relaying what the mother's interpretation of the video was. The police lt. herself did not offer her own opinion, at least in that clip. Wouldn't surprise me a bit if Annarbor.com already had the article for Dr. Weinblatt's conviction and sentencing ready to go to the press (oops, to the web, since our oh-so-intellectual community is so distressed that we can't even support a local daily print newspaper). The good Doctor will be shown in his t-shirt, as usual, while others such as the prosecutor will be all gussied up in their best-looking business suits. The coverage of this is totally and repeatedly biased against the doctor, who has been convicted of NOTHING so far, and it seems that any mitigating factors or, indeed, mention of culpability by another party, are either omitted or simply brushed off as not following the laughable guidelines for a &quot;lively forum for local debate.&quot; Biased and poorly contrived &quot;journalism&quot; and, as someone else opined, not at all surprising from Moscow on the Huron. Turning censors loose on comments arising from blatantly salacious, titillating, and sensational stories such as this is like the first-floor piano player in a bawdy house complaining about what goes on in them rooms upstairs. Isn't it a crime to film someone inside of their house without their knowledge? If the mother recorded Weinblatt, without his knowledge, while he had an expectation of privacy (which is debatable seeing as how both windows weren't covered), shouldn't she be charged with a crime also? Note to AA.com before you delete my comment, I'm not speaking badly about the &quot;victim&quot;, so this should not be a violation of your &quot;guidelines&quot;. exactly...although uncovered windows totally offering unobsdtructed views negates any expectation of privacy, imo...just common sense. Thu, Jan 12, 2012 : 5:26 p.m.
Why can't we just leave this doctor alone until after the hearing? Would make more sense to me. Fri, Jan 13, 2012 : 3:13 a.m.
Mort-many of the articles were precipitated by Mr. Weiblatt's attorney's actions, and another his employer saying that he was taking a leave of absence. Original story Company says Dr. Taking leave of absence. Dr.'s attorney says he will fight charge. Case postponed at request by attorney to Jan 4th. Details of case revealed. Attorney seeks dismissal of 2 of 4 charges. Explanation of charges. Hearing adjourned until Jan 26th at request of attorney. Thu, Jan 12, 2012 : 11:33 p.m.
justcurious... if i can remember way way back. &quot;your are innocent until proven guiltily&quot; this has gotten more pr than any story i can remember. the guy has not be convicted so leave him alone until he does or does not. i think we have more to this story that will come out in the trial. just a feeling. Thu, Jan 12, 2012 : 8:58 p.m.
Would you say that for in every case? Or is there something special about this one that sets it apart? Thu, Jan 12, 2012 : 5:08 p.m.
Thu, Jan 12, 2012 : 4:07 p.m.
AA.com, Here's the link to Google Images for Dr. Weinblatt: <a href="http://bit.ly/zt12Wc" rel='nofollow'>http://bit.ly/zt12Wc</a> I don't think you always have to use the police booking photo if something else is readily available. Thu, Jan 12, 2012 : 4:32 p.m.
Thu, Jan 12, 2012 : 4:29 p.m. Thank you for the link. Per the link, the Doctor appears to have some Zelig type properties. Sometimes looking like himself, sometimes like Paula Gardner and sometimes like Tony Dearing. Anyway, I found it at least a little ironic. Thu, Jan 12, 2012 : 3:58 p.m. The more this runs, the deeper public preception is going to be swayed to convict this doctor in public court. If he is exonerated he might as well pack his bags and move to timbuktu... This is VERY unfortunate. Fri, Jan 13, 2012 : 3:12 a.m. The great thing about online sites like this one is that you can give the update (about ten words, eh?) and then provide links to earlier stories if people wish to swim around in this story some more. We don't need all the details every time the story is shared. Thu, Jan 12, 2012 : 8:56 p.m.
&quot;The more this runs, the deeper public preception is going to be swayed to convict this doctor in public court. &quot; All high profile cases get the same treatment, with updates. Why should this one be different? Thu, Jan 12, 2012 : 3:41 p.m.
You do realize that by giving out the information involving weinblatt's name and the street he lives on and that the underage girl lives beside him, you have unintentionally made it very easy to know who the victim was if this crime is indeed proven to have occurred? And if it isn't proven that a crime occurred? What about Weinblatt's name and life? Fri, Jan 13, 2012 : 12:18 a.m. The 12-year old's life has likely been turned upside down due to these charges. It's sad. However this is what happens when charges are brought. I see no winners here. Thu, Jan 12, 2012 : 4:16 p.m.
&quot;...unintentionally...&quot; While I agree with you that those who report on this story are not intentionally trying to &quot;out&quot; this 12 year old girl, your comment is not the first to point this out. That fact, combined with the frequency with which this feature of the story is mentioned in every single story on the subject, makes me question the judgments made every time this story is covered. The intention may not be to &quot;out&quot; this girl, but the end result is such. I suppose it is a necessary feature of the story in order to explain how Dr. Weinblatt could be charged with the crime with which he is charged, since it is alleged to have occurred within the confines of his home. Nonetheless, in my opinion, one mention of it in the initial story is enough; repeated mentions of the geography of the crime seem unbalanced in giving every detail available (usually a worthy goal) at the expense of the 12 year old girl's privacy (almost never a good idea). Thu, Jan 12, 2012 : 4:15 p.m.
since this is not the first time that aa.com has done this i would guess that it is intentional.